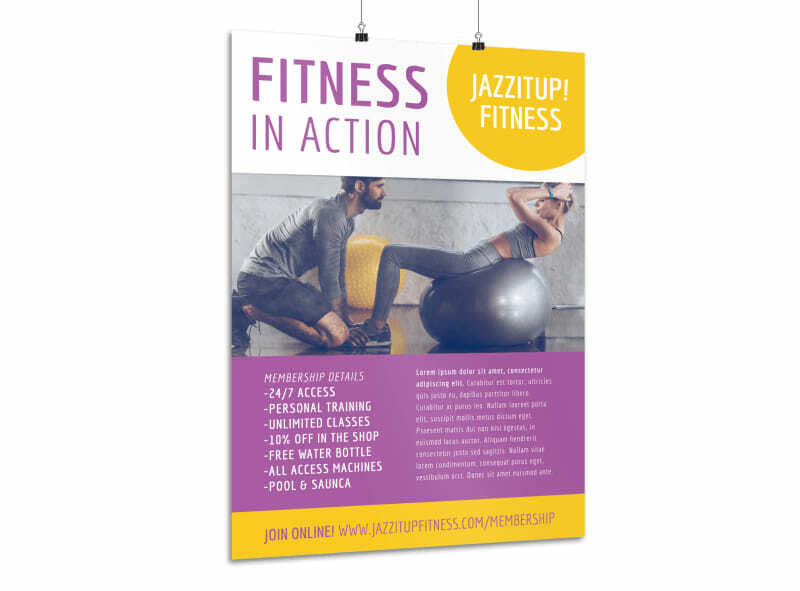 Customize our Fitness In Action Poster Template and more! 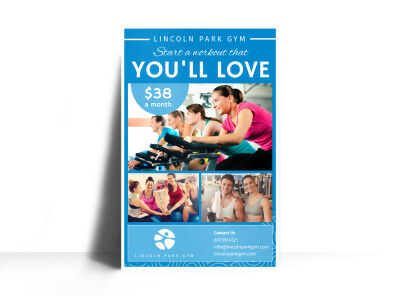 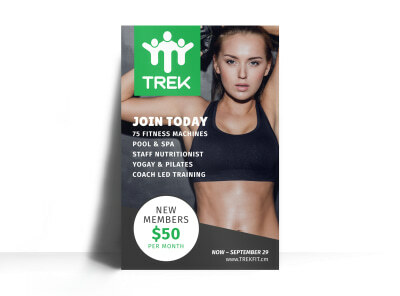 Promote your gym, pilates studio or dojo with this poster that advertises and enrollment drive, new trainer or other messages. 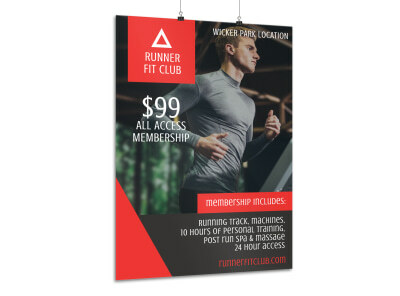 Our interactive editor makes it easy to customize your poster with fitness-related images, your choice of colors, encouraging text, and more. 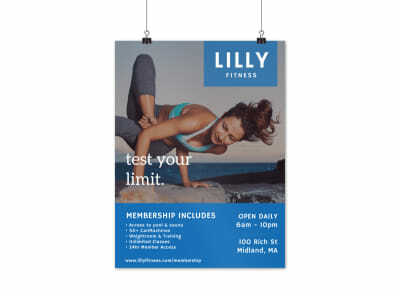 Bringing your design to life takes just minutes and requires no design experience, so let’s get started.